Business | WEXLER LAW GROUP, INC.
UPDATE: The new entity will be called the California Lawyers Association — an innocuous name. Since 2015, the California Legislature has been tightening the reins on the California State Bar. The primary focus is to be public protection, as befits a regulatory agency. Last fall, though, the Legislature neglected to authorize 2017 annual dues. In 2016, the Bagley-Keene Open Meetings Act became applicable. That affects not only the State Bar Board of Trustees, but also the regular subject-matter educational meetings of the Sections and their Committees, trickling down to the Nonprofit Organizations Committee of the Business Law Section, for example. A plan being discussed is to spin off these subject-matter groupings into a new nonprofit voluntary trade association, analogous to the American Bar Association, or CalCPA. That would leave the mandatory bar with its core function of public protection. To pave the way for that spinoff, a dozen Bar Section officials took the initiative in 2016 to form a new nonprofit. They christened it the California Lawyers Guild. Business owners can choose among at least six different types of business structures, each with its own tax advantages and restrictions. 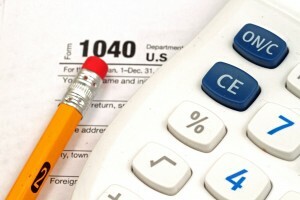 For your particular situation, we can customize the strategies to save taxes. S Corporation pass-through income is distinct from employment income or self-employment income. Of course, a shareholder-employee needs to take a relatively modest portion of S Corporation income as wages, triggering employment tax. The 0.9% increase in the Medicare tax (0.9%) on high earners does not apply to S Corporation pass-through income.